Knit cuff lab coat - new addition in our lab coats collection. 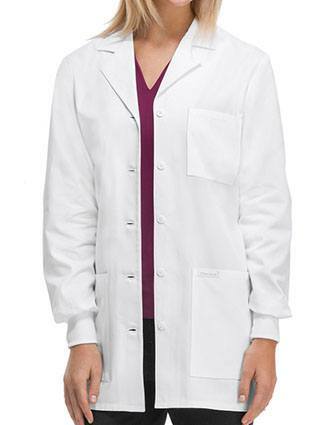 Knit cuffed lab coats & jackets for professional in many sizes and designs. Buy more and save more including free shipping on $49. Big discount on bulk orders and free company logo setup on order $490+. Email us your company logo at csr@pulseuniform.com for set-up cost. Please go to our Embroidery Page to see our font, threads and logos.